1 of 3 Process millet in a food processor until about half of it has a flour-like texture, approximately 1 minute. 3 of 3 Serve immediately. 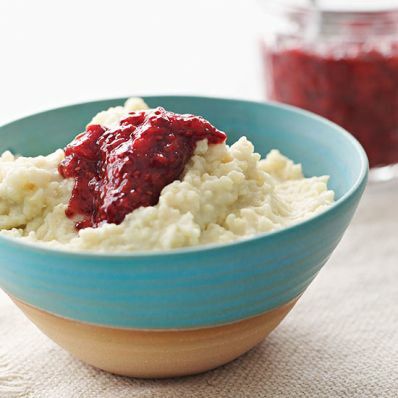 If desired, serve with Raspberry Chia Refrigerator Jam (recipe at right), cream, additional brown sugar or butter. Per Serving: 1 g sat. fat, 6 mg chol., 2 g Fat, total, 172 kcal cal., 207 mg sodium, 6 g pro., 1 g fiber, 34 g carb.